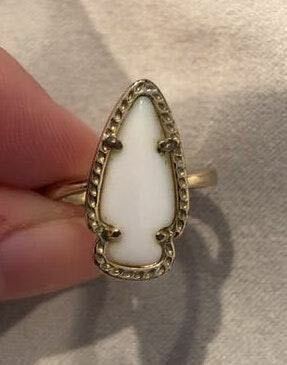 Used Kendra Scott white arrow ring. Dust bag included. Size five, but is a little larger... could fit a six.